What is the temperature inside a methane/oxygen rocket engine? Assuming a simple rocket engine, with a combustion chamber and de laval nozzle, fueled by liquid methane and liquid oxygen, what temperature must the combustion chamber, choke and nozzle withstand? However, when combustion products expand they cool, so this question could be rephrased as what pressures exist in the three main parts of the engine. Really I am asking "how tough does the inside of a rocket engine need to be"? What is the max temperature and pressure the materials must be able to withstand? I found a paper by 4 authors that compares Kerosene engines to Methane engines. 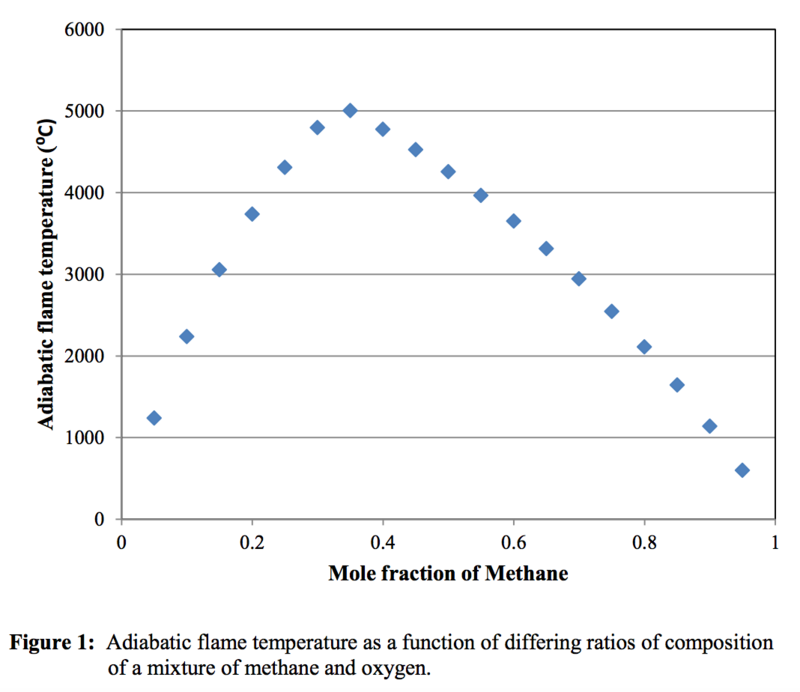 It states the chamber temperature of a Methane rocket is 3533K, comparable to the RP-1 3676K chamber temperature. The optimal temperature in a vacuum is 3563K, compared to 3701K. So it seems the temperature constraints are very similar to RP-1 rockets. See the paper for other comparisons. This isn't the highest temperature, but results in the highest ISP, as determined parametrically. Thanks for contributing an answer to Space Exploration Stack Exchange! Not the answer you're looking for? Browse other questions tagged rockets engine-design fuel engines temperature or ask your own question. How much delta-v is lost to heat of exhaust? What is a dual-combustion chamber design? Why don't rockets drive the turbopump from the combustion chamber? Why cool engines with fuel as opposed to oxidizer? What is the minimum melting point a material need to have in order for it to be used for the rocket chamber and nozzle? Don't Preburner exhaust fumes disturb the combustion in a Full-flow Staged Engine? Is there a way to make liquid fueled rockets not lose efficiency with decreasing throttle? Is there any combustion chamber and nozzle cooled with liquid oxygen instead of fuel?